Every day at The Bride Room is like permanent eye candy....oh our fabulous designers, their gorgeous gowns....our accessories, veils, and bridesmaids! It never gets old!!! Mark your calendars for Sunday, April 18th from 1p-5p (fashion show at 3pm!). 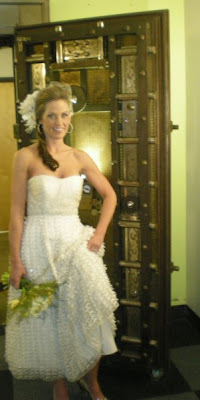 The fashion-loving, forward-thinking team at the salon are presenting a bridal event for the...um...non-traditional bride. Are you looking for something unique? Something unexpected and a touch daring? This is the event for you.....The whole event is Carnevale themed...what is not to love?!!? A few images/sneak peeks from a photo shoot Eye Candy did last week...images are stills from 2Duce2 Videography...looks delectable, yes?? 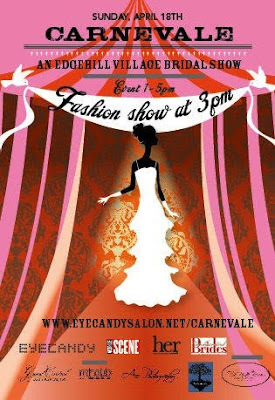 You can follow the fun here: Eye Candy - Carnevale on Facebook; Eye Candy's website; and Edgehill Village on Twitter....Don't miss a thing!